Morlok Chambers at 5'10" is taller than many of his peers. His lean build is slightly thinner than an average athlete his age. He is well groomed with dark brown hair parted along one side that sits all too naturally, as if it grew into place. Bright blue eyes, with odd grey hints dancing through the irides, rest above his high set cheekbones. His rather charming facial features are offset by scars that only few have spotted under his shirt and robes. Morlok's attire is well tailored and customarily formal, which one can attribute to his noble upbringing. Morlok is often polite, seemingly without effort, to authority figures and female students alike. As far as classes go, he favors Defense Against the Dark Arts, and seems to have a knack for potions as well. However, even in astronomy and divination, Morlok's least favorite classes, he remains attentive to the lecturers. Morlok spends a good deal of time finding unconventional ways around the castle and grounds. Morlok is something of a perfectionist, at least when it comes to things he cares about. Much to his own surprise, Morlok apparently performs new tasks poorly in classes. Morlok seems to try to impress his teachers, especially the ones which are powerful or that he feels could be useful to befriend. The Chambers family is noble, in wealth and reputation. They have at least 3 house elves, which seem to be treated quite well. They even wear clothes, although they don't seem upset so are probably not free. Morlok had an upper-class upbringing, everything from education through social etiquette. Morlok doesn't have anything against muggles, due to his half-brother (Waldorf) being a Half-Blood. 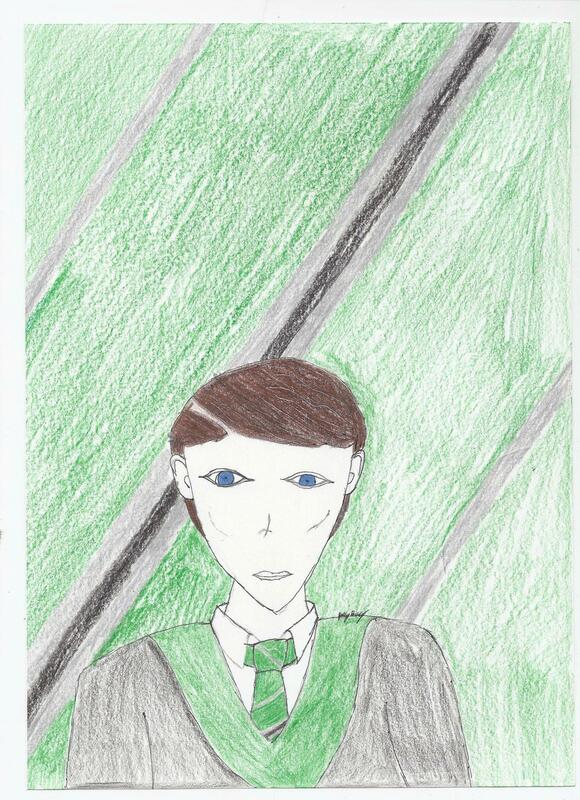 Morlok doesn't seem to hold anything against students of other houses, although he does generally back his Slytherin brethren when a choice has to be made. Morlok was witnessed saving Bradley Cooper from a school of scarabs, as well as a dementor, down in the dungeons. Morlok attended the Sadie Hopkins dance, asked by Ria Sykes. Morlok's first wand was broken when dueling Bradley Cooper's father, the world's leading artificer (whom spent a year in Azkaban, starting the same night as the duel). Ironically, it was a simple disarming charm that made him lose his wand, and it was splintered by the Artificer's machine. Morlok was made to use a loaner wand from his uncle until the end of summer just before 3rd year. He was assumed to have learned his lesson by then. Morlok was the target of Grant Balkin's transformed desumo spell (making it a ranged dark arts spell), which he volunteered to assist with, without having ever seen the spell before.